When I was in Kathmandu, Nepal there was one place I liked to shop, par comparison it was a my first choice to buy things. No points for guessing it was Bhat Bhatini super market. Two days back I was studying data warehousing and Business Intelligence (BI) it has a typical example of a retail shop with departments, category of products and promotions (with a capital P) I thought why can’t Bhat Bhatini arguably the oldest and the best super market in Nepal use it to maximize its profit. I have never seen effective promotion schemes anywhere in Nepal, specially the consumer market has a big scope for it and with information that Bhat Bhatini has it well be great to see the patterns that come out of the data warehousing and data mining analysis. 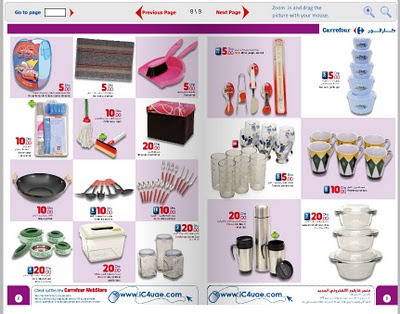 Bhat Bhatini has a computerized system so with data like which products bundle together, which products sell what which time, with information from Bhat Bhatini Club card even the customer dimension can be included it will be amazingly beneficial for the company. When I was in the UAE, I went to CarreFour every now and then they had offers, mainly printed paper you could carry back home and see what you want in your own time then come back and get it for cheap prices. (See below). And even here in Arnhem, Netherlands in places like Albert Heijn and others they have the same process of promotions almost every week. How do they do it, its simple they have a very efficient data warehouse and sophisticated data mining techniques that tell them amazing facts and patterns to improve their business intelligence. They even know what two things to place in the adjoining racks so that sale of one compliments the other. They have knowledge of patterns like who (what age group) buys what products in which season by this they can have the optimal level of stock saving lots of money. Because of all this important processed data as valuable information they give discount and bundle together things ultimately for a better return. Luckily Bhat Bhatini has a website, but misery that its a static website with almost never updated content. Leave the online selling (which can be a big plus, for people abroad Bhat Bhatini can deliver things to their homes where Nepali living outside can order things for their family) it does not even have mentions of offers like the Albert Heijn or CarreFour site has. 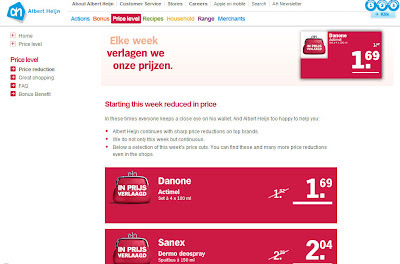 I know comparing Bhat Bhatini with CarreFour or Albert Heijn is not fair but we should look at progressing, at least have data about the things we offer and prices. 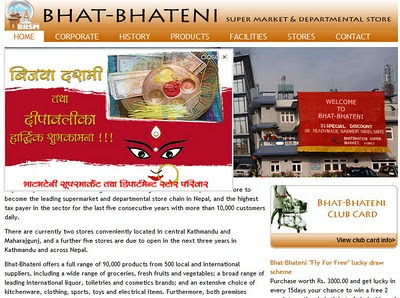 I guess Bhat Bhatini has discounts now why because its Dashain not thoroughly calculated discounts, promotions and offers based on historical data and extracted intelligent patterns. Yes it may be a big investment to get a data warehouse like the one I’m referring to but on the long run it will surely pay off is what I believe. Bhat Bhatini was just an example, Business intelligence with Online Analytical Processing (OLAP) and data warehouses should help all the executives come up with better managerial decisions. I even know things are not computerized but for Banks, Insurance Companies etc where they have the data should go for it and come up with mind boggling promotions and offer that will really help to edge out the competition. Let’s hope for a brighter technological future in our country. Change wil not come in a day but we should start from the bases we have. If we can’t bring in all the expensive hardware we can surely start from the software front.